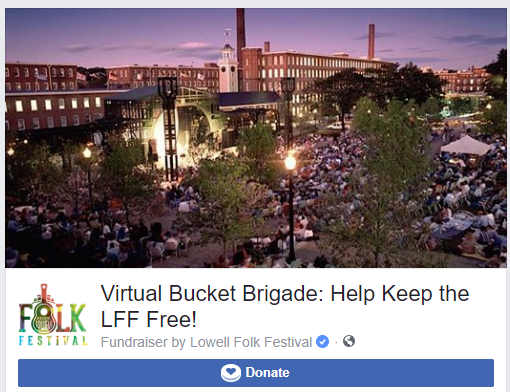 The Lowell Folk Festival presents Art in the Courtyard Arts and Fine Crafts, a venue of the Lowell Folk Festival in Lowell, Massachusetts, Saturday, July 28th from 12 Noon until 7:30PM and Sunday, July 29th from 12 Noon until 6:00PM. Art in the Courtyard is coordinated by the Brush Art Gallery. This exciting collaboration provides an opportunity for visitors to view and purchase some of the finest art and craft work. Art in the Courtyard is held in the shaded, brick-lined courtyard between the National Historical Park Visitor Center and the Brush Art Gallery. Tents will be set up to provide a welcoming place, rain or shine. Conveniently situated between Market Street and the Dutton Stage, one of the main music and dance stages of the Folk Festival, Art in the Courtyard is a high-traffic spot during the festival. Local artists will also be displaying and selling their artwork at the neighboring Brush Art Gallery and Studios, creating a strong center for art and fine crafts for the Lowell Folk Festival. Dan Jacavanco Handcrafted, custom belts, wristwear, and more! Deb Wolf oil on canvas and re-purposed materials.